The one thing that most of us need in our home is more space. Increasingly, homeowners are seeking to get ways to have it, extensions and loft conversions is the ongoing trend, it’s definitely popular not just in East London but even in other countries. 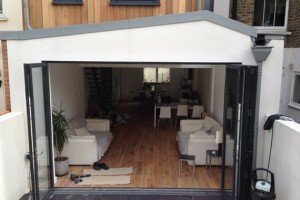 If you need a contractor to work on simple storey area and back kitchen extensions to multi-storey extensions then we are your guy as we have been providing home extensions to an extremely high quality of work for decades. We offer our services in Epping CM16, East London and other regional areas like Romford, Walthamstow, Dagenham, Stratford, Chigwell, Hainault, Woodford, Epping, Barking and other areas in Essex and East London. Our contact details aret 07581181235, 02082522663, spenwell@hotmail.com Call us for a free evaluation of your home. If you need an extra room for your office work, why don’t you call us and we’ll check which part of your home can be extended. Extensions and loft conversions might be what you need as it’s the most cost effective method of putting substantial value to your residence and increasing your liveable space. Spenwell General Builders would work with you and explore the ideas you have for your home. We also have other services for our clients like garden, wirings, renovations, reconstruction, and so much more. Extensions and loft conversions will add a substantial monetary value to your property. A lot of families are considering on extending or converting their lofts for additional areas as a method of obtaining more rooms and never having to endure the costly and stressful procedure for moving home. If you’re thinking of making these changes, let us help you. Spenwell General Builders have several designs you can choose from, but if you have an idea on how you want it done, then let us know and we’ll build it for you. We operate in Epping CM16, East London and other regional areas like Romford, Walthamstow, Dagenham, Stratford, Chigwell, Hainault, Woodford, Epping, Barking and other cities in Essex and East London.